Sign up for one of Northwestern Hockey's Intro to Hockey or Learn to Skate programs and receive a discount of $25! Just use coupon code FACEBOOK25 when you regsiter. This program will be an introduction to skating without introducing concepts of hockey. Emphasis will be placed on personal skill development within a fun-filled environment. No prior skating experience required. 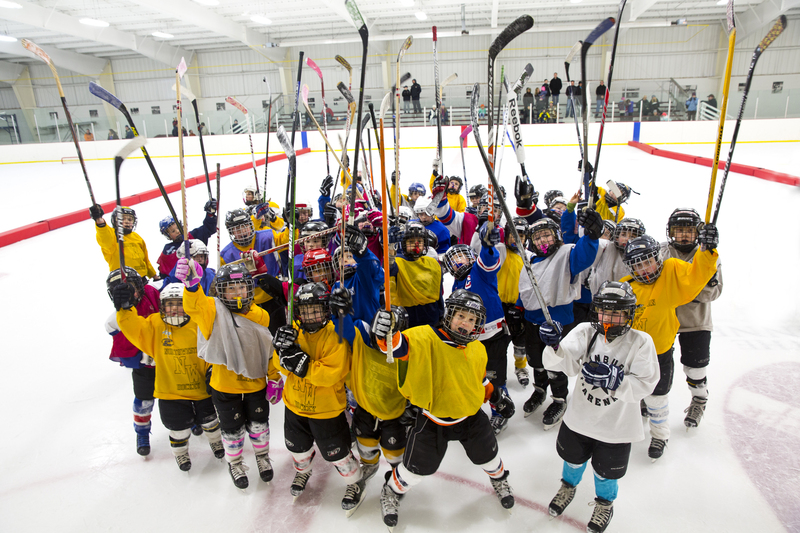 This program will combine an introduction to skating and hockey. Children will learn to skate while holding a stick in their hands. Passing, puck handling and basic shooting will be covered as well. Emphasis will be placed on personal skill development within a fun-filled environment. No prior skating experience required. ** All of Northwestern Hockey's programs require a separate registration with USA Hockey (www.usahockeyregistration.com) The cost to register with USA Hockey is $47.50, but is free for any participant born in 2009 or later.